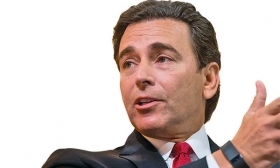 Ford CEO Fields: "I would call our approach realism." DETROIT -- General Motors and Ford Motor Co. both posted single-digit U.S. sales declines in the third quarter. But financially, Detroit's two largest automakers appear headed in opposite directions, with GM achieving a record third-quarter profit at the same time that Ford had its weakest quarter in nearly two years. GM's third-quarter results, including record revenue for any quarter since its 2009 bankruptcy and net income that more than doubled from a year ago, are validation of the company's retail-focused strategy in the U.S., where essentially all of its profits were generated. GM's retail sales were flat from July through September, while fleet deliveries dropped 15 per cent. In contrast, the bulk of Ford's 6 per cent decline in third-quarter sales volume was at retail. Fiat Chrysler Automobiles also is on an upward trajectory. It posted a 29 per cent gain in third-quarter net income and raised its full-year operating profit forecast to at least US$6.3 billion (Cdn $8.45 billion). Meanwhile, Ford's outlook has taken on a more negative tone since midyear. 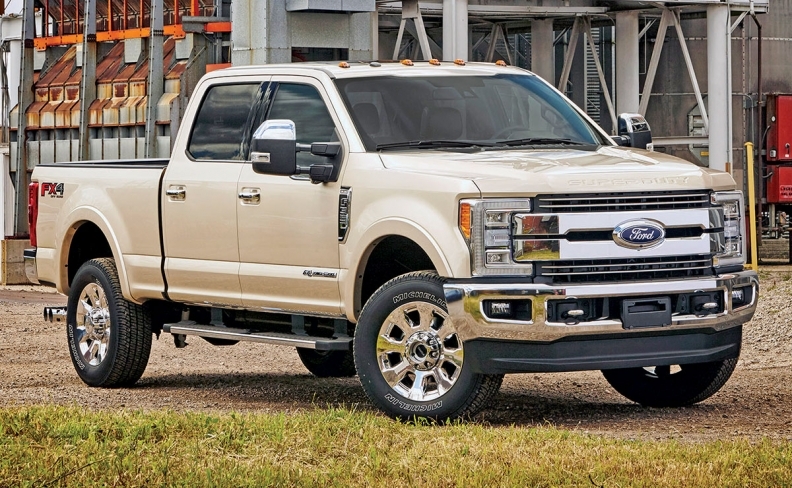 Its third-quarter net income fell 56 per cent, a drop that executives attributed to a costly recall, ramping up production of the redesigned Super Duty pickup and the plateau in U.S. sales. Ford also cited "normalization" of F-150 sales compared with a year ago, when early buyers of the redesigned model were loading them up with expensive options. Ford's full-year guidance implies a 23 per cent drop in its fourth-quarter adjusted pretax profit, while GM's forecast suggests a decline of at least 16 per cent in the quarter. Costs in launching the redesigned Super Duty helped dent Ford's profits. Results from dealership groups, suppliers and lenders have been mixed as consumer demand levels off and growth becomes harder to achieve. Both Lear and Gentex said their third-quarter net income rose 18 per cent, but BorgWarner reported a 47 per cent decline, and Ally Financial posted a 22 per cent drop amid increasing delinquencies and fewer loan originations. AutoNation, Group 1 Automotive and Asbury Automotive Group reported lower earnings, while Penske Automotive managed a slight gain. Ford generated about US$500 (Cdn $670) more revenue per vehicle sold in the last quarter in North America than GM, but GM's profit per vehicle was more than double that of Ford's. Even when excluding a $600 million (Cdn $804 million) charge that Ford took in the quarter for recalling faulty door latches, GM earned 40 per cent more from each sale. The disparity correlates to the higher transaction prices generated from retail sales, which accounted for 85 per cent of GM's third-quarter volume and 77 per cent of Ford's. GM earned 5.9 per cent more in North America during the first nine months of 2016, even though its U.S. market share fell to just 16.9 per cent, a drop of 0.7 points. Ford's share was unchanged through September at 15.1 per cent, and its North American pretax profits were down 3.7 per cent.